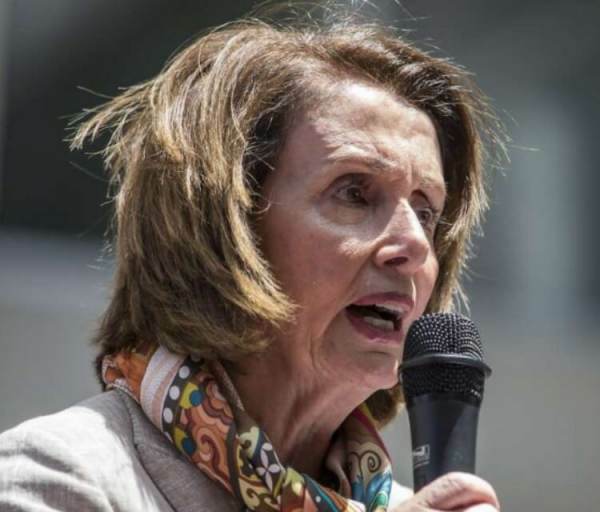 House Speaker Nancy Pelosi announced Thursday that the House Dems will sue to stop President Trump’s emergency declaration on the US-Mexico border. Both the House and Senate tried to block President Trump’s national emergency declaration with a resolution and failed — Trump vetoed the bill so the House is taking a rare legal step to stop the president. Top Democrats voted to authorize a lawsuit against President Trump’s emergency declaration on Thursday. Pelosi announced that the Bipartisan Legal Advisory Group, which is comprised of five people, voted 3-2 (on party lines) to authorize a lawsuit challenging the President’s decision to transfer funds from appropriated accounts for his border wall. Nancy Pelosi (D-CA), Majority Leader Steny Hoyer and Majority Whip Jim Clyburn voted for it, and Minority Leader Kevin McCarthy (R-CA) and Minority Whip Steve Scalise (R-LA) voted against it. “The President’s sham emergency declaration and unlawful transfers of funds have undermined our democracy, contravening the vote of the bipartisan Congress, the will of the American people and the letter of the Constitution,” Pelosi said in a statement Thursday. President Trump traveled to Calexico, California on Friday to inspect new border wall construction.